Whether you order booklets and brochure printing on a daily basis, or this is your first time, we can always improve our knowledge and understanding of print. Even I as I planned this blog post researched brochures to ensure I was up to date with my knowledge before putting pen to paper so to speak. When is the right time to use a brochure? Many of our clients are righty unsure when is appropriate to use brochure printing in their sales and marketing efforts. The answer however is very straight forward. When you marketing literature exceeds the need of flyer printing through content or the nature of its purpose, a brochure may become a more suitable option. Would you go into a pitch with a single sided flyer promoting a current campaign or would you rather be armed with a sales presenter that clearly indicates who you are, what products and services you sell along with multiple talking points in the sales leads arena? The answer is of course the well designed and printed brochure. How many pages does my brochure need to be? Brochures can be as small as 4 pages in length and can increase to many hundreds of pages depending on requirements. 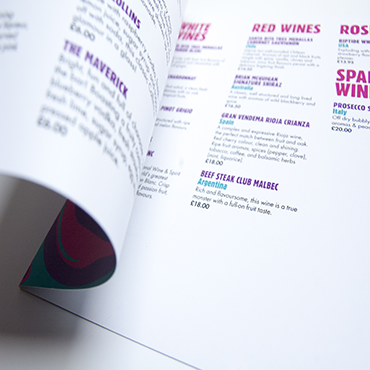 As a general rule of thumb, stapled brochures are printed in paginations with a multiple of 4. As pagination increases you may move into perfect bound brochure printing (greater than 54pp) territory and with this method of printing, your pagination increases in multiples of two. Do not worry though, we’ll guide you through the process and keep you right! In the past the most efficient way of printing brochures was using lithographic printing and very large print runs of 2,000+. With the advent of digital printing technology, the set up costs associated with printing are minimal by comparison and this has resulted in digital printing becoming very efficient in runs up to 2000. As kaizenprint.co.uk w have 3 state of the art digital printing presses and access to over £2million worth of lithographic presses, which ensures whatever print is required we can guarantee we give the best value each and every time. It’s fantastic to have a beautifully designed brochure that encompasses all facets of your business. However this may not be the most efficient way to target your customers. We have seen many customers take one large brochure and segment this to multiple smaller brochures that specifically target industries or customers. This provides huge flexibility to the sales team allowing them to pick and choose the right content based on their intent. What finishing do you require? When choosing brochure printing, consider the end goal in mind. If your brochure is a mass distributed pricing chat going to thousands of homes, it may not need to be on the highest weight of paper. However if this is a sales presenter selling £40,000-50,000 kitchens, a higher paper weight should be considered. At kaizenprint.co.uk we are experts in brochure printing and have helps thousands of clients all across the country with their sales brochures, annual reports, marketing booklets and so much more. To order your booklets visit our booklet printing page and follow the simple steps to choosing your perfect printed brochure. This entry was posted in Printing and tagged brochure printing.